What magic lies in the moon? The Lunar Mage may know, but he's not telling you! GO GO ROKKUMAN ZERO! In honor of Rockman's 15th anniversary, I've made a wallpaper using concept art from the newest Rockman series, "Rockman ZERO." Hear the roar. 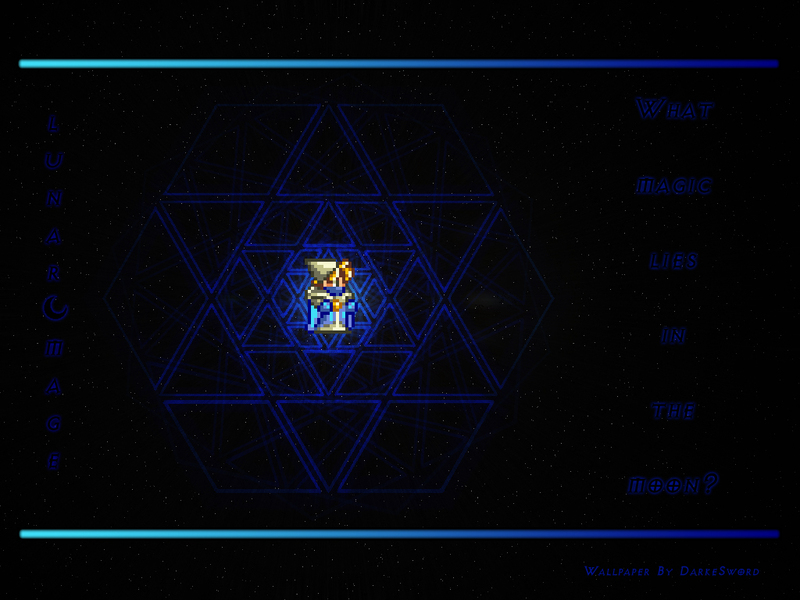 The official wallpaper of the Bahamut Brothers. 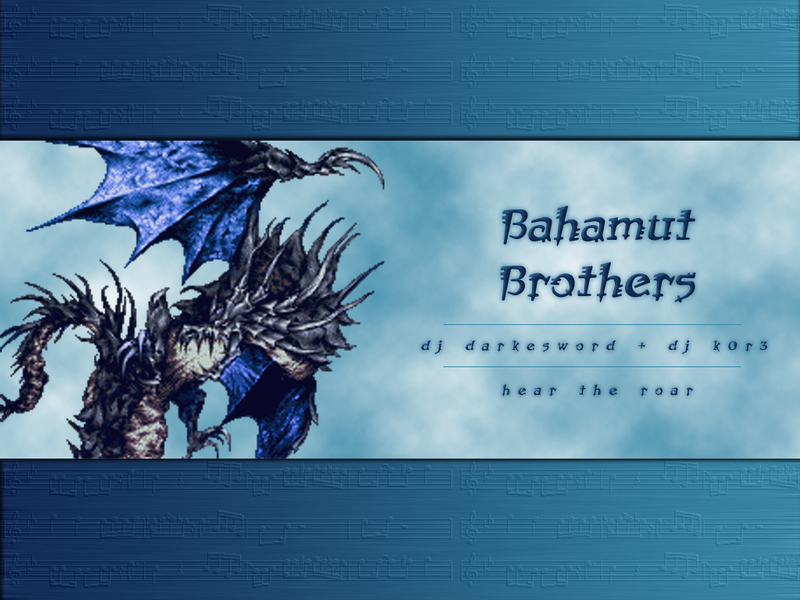 Bahamut Brothers is my joint DJ project with my friend DJ k0r3. 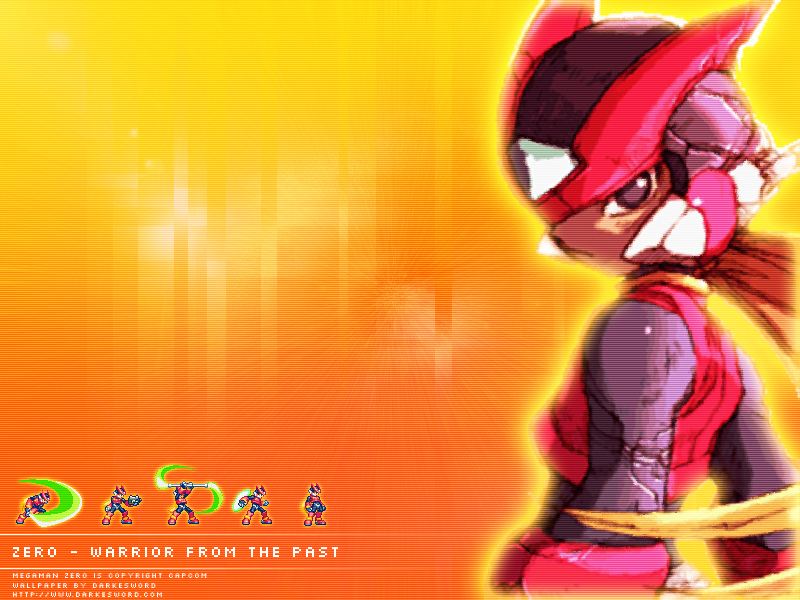 Zero - Warrior from the Past. 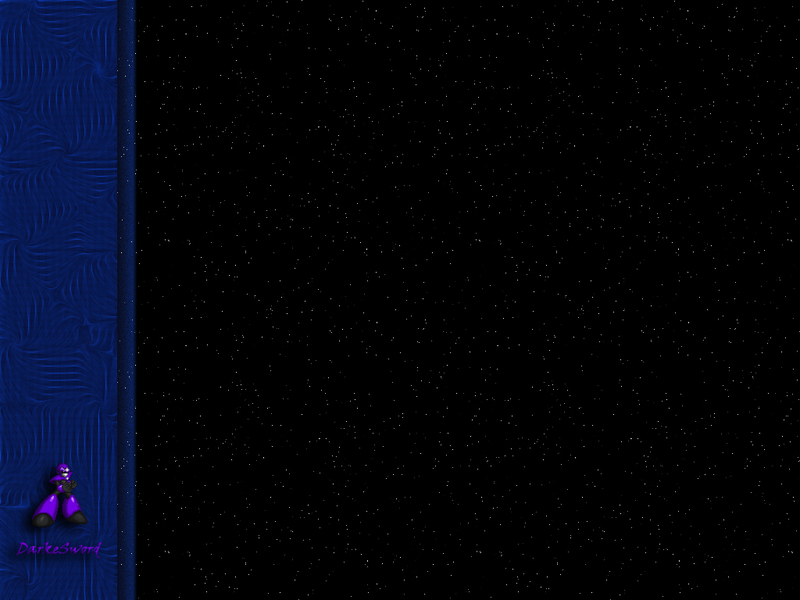 Another RMZ wallpaper. Rather simple, with a big pic of Zero on the side and some sprites on the bottom. 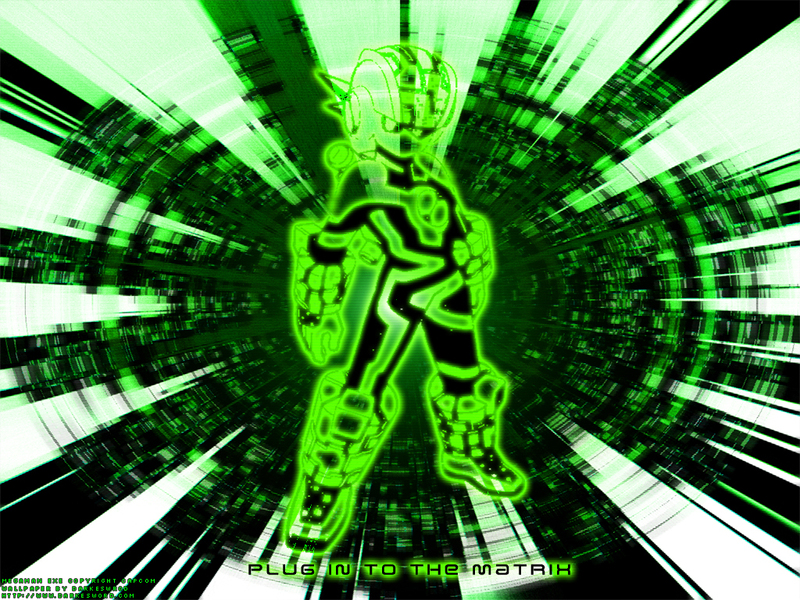 Plug In to the Matrix. A cheezy Matrix-esque wallpaper with a green Bug Style Rockman EXE on it. Rockman X - All X. 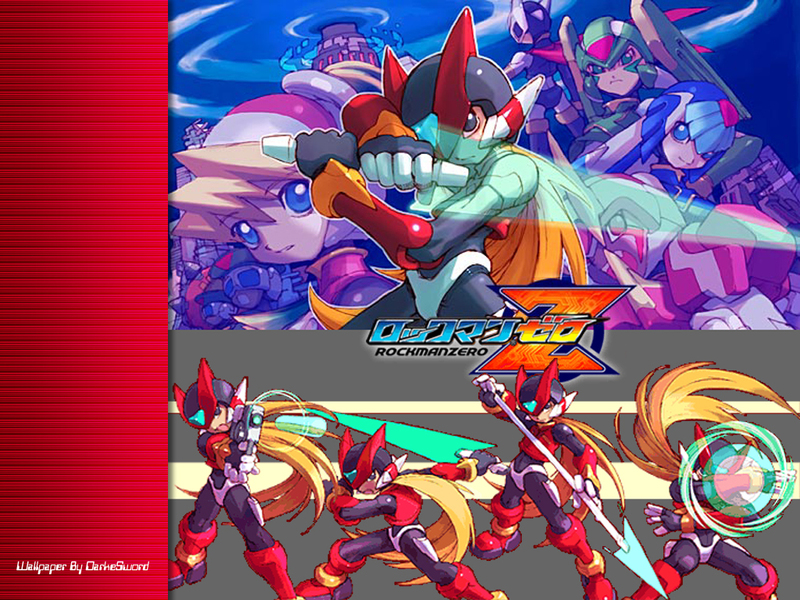 A cool blue wallpaper that uses official Capcom art from one of the RMX model kits. 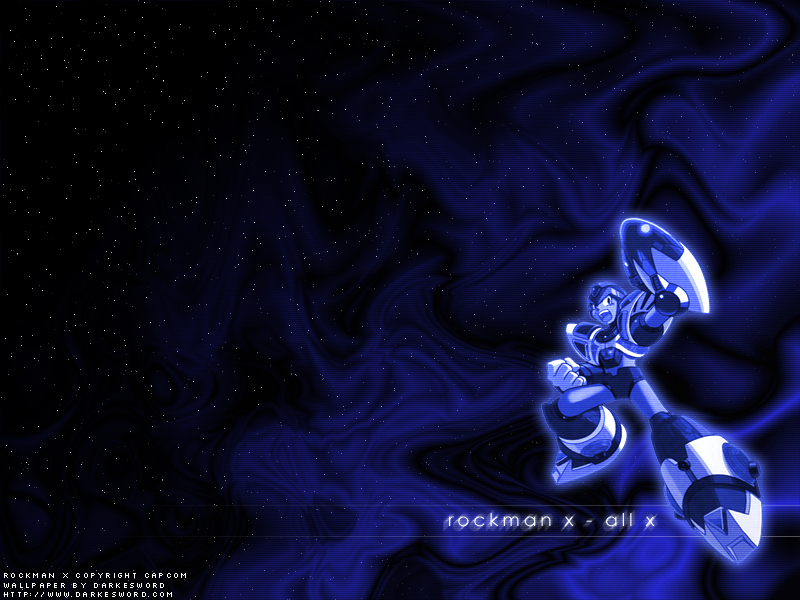 This is the "All X" version of X.